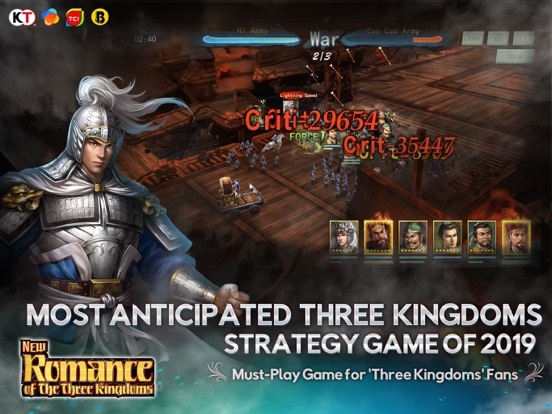 New Romance of the Three Kingdoms is a 3D real-time multiplayer online strategy game that is based on the Koei Tecmo Games smash hit Romance of the Three Kingdoms XI.This title,licensed by Koei Tecmo Games,is built to continue the classic tradition of this Strategy Battle Game masterpiece series,utilizing strategy as its core design principle. 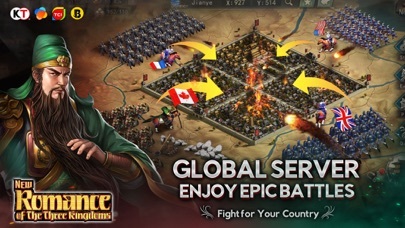 Feel the infinite possibilities afforded by ten thousand players battling across more than 1 million map tiles.Recruit Generals,develop your Cities,craft elite Weapons and set up military factions,or team up with other players to pillage and plunder,expanding your collective territory as you vie for the Imperial Throne itself! 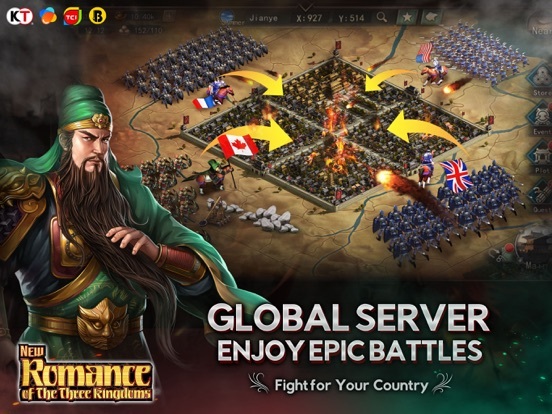 In this Strategy Battle Game: ·Recruit the generals in the background of the three kingdoms period to battle and occupy the world. 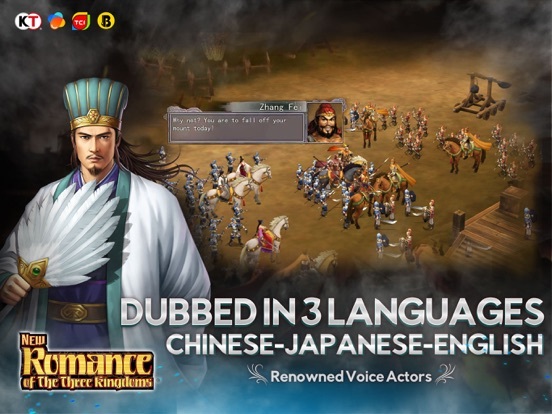 ·Develop and promote your favorite generals' capacity,and learn about the history of the three kingdoms by participating the plot. 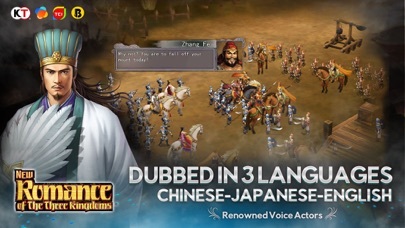 ·Achieve and collect the materials to promote your faithful generals by experiencing the stories. ·Plundering or being plundered depends on the capacity of the country and soldiers belongs to you,who is a lord and a leader. 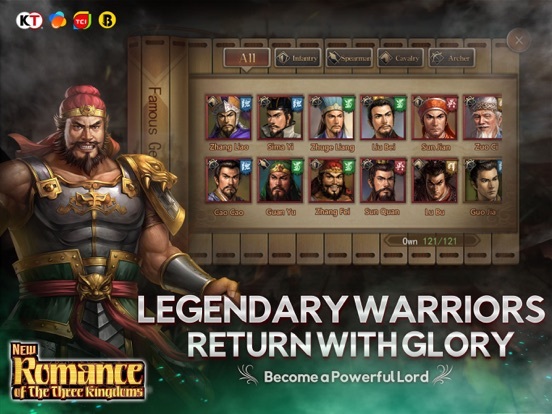 ·Gaining the glory and rise to power by battles. 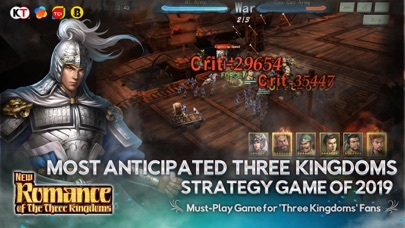 ·Find like-minded friends to organize your own army.Together attack other cities and plunder enemies' manors in order to satisfy your ambitions and achieve your own career which is unmatched. 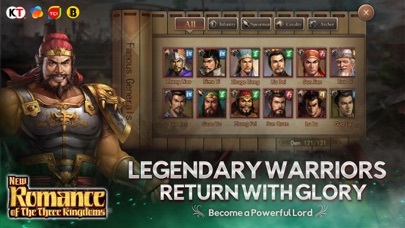 Warlords exploited the situation and began to fight for themselves.A chaotic era began.Are you ready to fight? 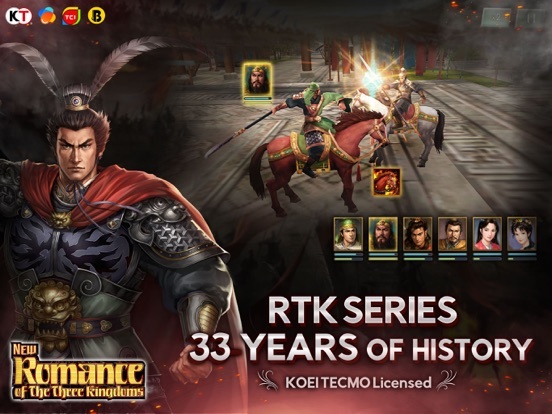 New Romance of the Three Kingdoms is completely free to play,but some optional in-game items will require payment. 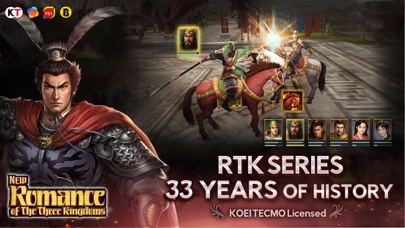 By downloading this app on your mobile you are agreeing to our terms of service;https://sangokushi.bbgame.global/policy You must be connected to the Internet to access full game features. Please take care not to play for too long and arrange affairs so as not to foster addictive habits.